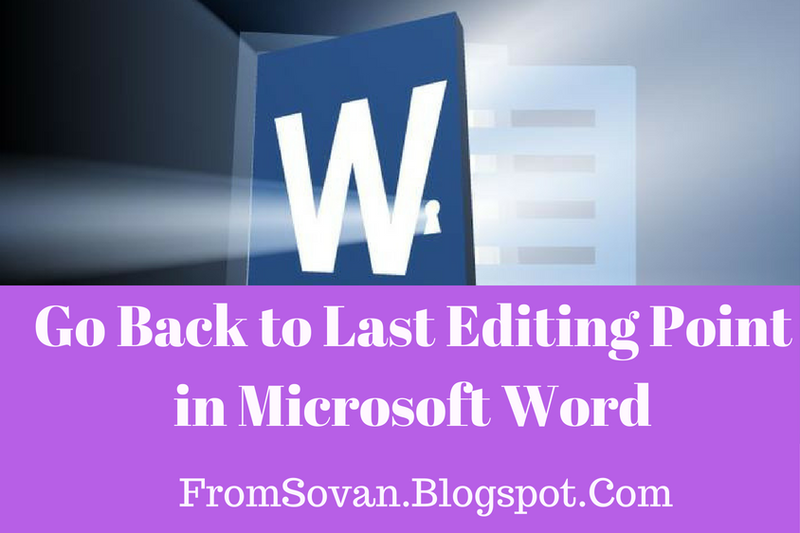 I have been publishing some nice little and useful Microsoft Word tips for increasing your daily work efficiency. Today’s tip is very useful for those who work with long documents and do a lot of editing. Often times, while editing a document we need to swiftly move around in the document. For example, let’s say, at present you are working on page 6 and need to paste a paragraph here. The paragraph to be copied is present in same document on page no 12. You will scroll down to page 12 and then copy/cut the paragraph. But now you have to go back that part on page no. 6 where you want to paste this paragraph and you will do it by scroll back again to go on page 6. You may say that to go back on page no. 6, will use “Go To” feature (Shortcut: F5) of Microsoft word where you have to put only page number and then press Enter and now you are in page 6 but at the beginning of the page not that position where you want to paste the paragraph. So, what is the solution? If you press Shortcut combination “Shift + F5” in an MS-Word document, the cursor moves to the location where you were last editing. So, as in the above given example, after copying the required paragraph on page 12, if you’ll press “Shift + F5”, cursor will automatically move to page 6 (the page where you were working). Special Tip: You can manually run the command that the above mentioned shortcut key combination executes. Press F5 key to bring up the “Go To” dialog box. Type “\PrevSel1” in the box and click “Next” button. The cursor will go to the most recent editing position. Keep clicking Next button to cycle through. I always believe “don't work hard but work smart”. 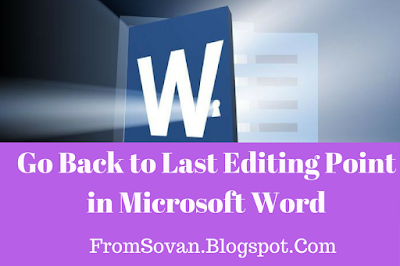 Hope this trick “Go Back to Last Editing Point” in Microsoft word will help you. If you have any question, query or problems then please write in comment section or you can contact me at fromsovan@gmail.com.